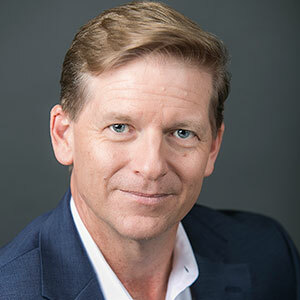 Scott Parish joined Alcon Entertainment in 2000 as Vice President of Finance to assist in building the Company into a leading motion picture producer and financier. He was promoted to CFO in 2004 and then Chief Operating Officer in 2008. Parish oversees all finance, business affairs, operations and diversification efforts for the Company. In 2008, Parish lead a consortium of senior banks, mezzanine and equity financiers, closing a $550MM structured financing slate deal to cover the Company’s next 15 films. The first group of movies financed under this structure was THE BLINDSIDE and THE BOOK OF ELI. In addition to expanding the film slate, Alcon formed Alcon Media Group (AMG), the parent company, paving the way to begin its diversification efforts. Parish has been at the forefront of creating the new divisions under the AMG, starting in 2011 with the acquisition of literary management company, Madhouse Entertainment which provides proximity to best the writers in the film and television industry. In 2012, Alcon Television Group (ATG) was formed to be a mirror image of the film division, to produce and finance high quality television. ATG has produced / financed three seasons of the Hugo-award winning series, THE EXPANSE (on SyFy Channel), partnered with HBO on the documentaries SINATRA (2016) and THE DEFIANT ONES (2017) and the Amazon kid animation series PETE THE CAT (2017). In 2014, Parish co-created a music joint-venture with Sleeping Giant Music Group led by founders Michael Hodges, Ken Calliat and Kayla Morrison. Alcon Sleeping Giant (ASG) goal was to build a publishing library by acquisition of music catalogs and creating original music. To date, ASG has produced numerous original songs and score in content ranging from film, TV, animation and interactive. In addition, ASG has formed a joint-venture with Pantelion to create a publishing entity covering all of the Latin music content produced and financed by Pantelion. Finally, in 2016 Parish lead the creation of Alcon Interactive Group (AIG). AIG has formed partnerships with Oculus (VR experiences), Google (VR game), Next Games (mobile game) and Tell Tale (PC game) and have many other properties in development ranging from THE EXPANSE, PETE THE CAT, GARFIELD, just to name a few. Parish has 25 years of financial and operational management experience in the entertainment industry. Prior to joining Alcon, he spent six years at New Regency as Vice President of Finance and Operations and was a lead liaison in setting up and managing the $600 million Revolving Credit Facility through JP Morgan Chase. Parish earned his B.S. in Transportation and Logistics in 1984 from the University of Tennessee at Knoxville (UTK). He earned an MBA degree of the University of Tennessee in 1991.